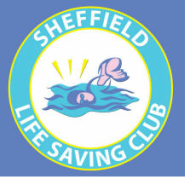 Hello, Lifesaving Clubs, you are again invited to take part in Sheffield Lifesaving Clubs Annual Lifesaving Competition. We apologise for the lack of competition last year but for numerous unforeseen circumstances it was just not feasible to run a competition in 2015. This year though we are holding our competition at a new venue, Ponds Forge International Sports Centre! So we expect it to be bigger and better than ever before! We would again ask that you are patient with us on the day as we will be getting used to the venue as much as you are. We are also this year asking every club to bring helpers and bodies with them to assist on the day. More info on that in the team info section below. From J33 of the M1 take the A630 towards Sheffield. Follow the A630 and the signs on it for Ponds Forge and this will direct you to the Ponds Forge Car Park which is Accessible off Pond Street Sheffield. For the Car Park please use the Postcode S1 1AA. Registration will take place in the Skyline Suite (upstairs) at 11:30. Once registered competitors and bodies should change using the competition changing facilities at the pool level (basement). Competitors should then make their way back up to the Skyline suite for Isolation, while Bodies should make their way to the Diving Officials Room (next to the diving pit on the right hand side) for 11:40 to be allocated a role. Volunteers should make their way to Studio 1 (round the corner from the Skyline suite) to be briefed at 11:35 and allocated jobs. ​The Club Captains briefing will take place in Studio 1 shortly after at 11:40. You will then have approximately 10 minutes to brief your clubs before Isolation begins. Isolation will be taking place in both the Skyline Suite and Studio 1 to allow more space for the competitors. The Rookie and Junior 14 Age groups should stay in the Skyline Suite while Junior 16 and Senior teams should make their way to Studio 1. Competitors will then be taken down to the Diving Pit to compete at the relevant time. After completing the incident competitors should make their way back up to the pool gallery using the stairs poolside. You will then be expected to stay in the gallery until called down for your heat poolside. ​For more details on the events click here. All teams must consist of 4 swimmers in every category. Each team should have at least 1 female member in it. Swimmers are allowed to compete in an older age category. Entry Fee is £45 per Team which includes the price of the buffet for all 4 team members. We ask that for every 2 teams you bring to the competition you bring a helper that can assist with isolation, running teams to relevant areas and/or time keeping. We will collate the number of helpers we have before the day if anyone is not required we will let you know. If anyone is struggling to provide helpers then please contact us. We also ask that every club provides at least one body for the incident. This person must be comfortable with swimming in VERY deep water, being manually handled and staying in the pool for extended periods of time. ​All helpers and bodies will be given a free buffet ticket.